Short, clear and concise programming and operating instructions. Includes information for Memory Programming, and for operating all Controls and Set-up Menus. Indexed for Quick Access to areas of interest. Explicit and easy to follow instructions. Provides step-by-step instructions, augmented with hints and explanations. Very understandable. Fast and easy to use. Compact and rugged enough to be kept with the radio -- so its always there when you need it. An indispensable operating aid for Alinco radios. Short-form guides that simplify programming and operating Alinco transceivers. Indexed and organized for quick access to whatever you need to do. The 4.5 x 8 inch, spiral bound manuals are fully laminated for durability. Hand-held models also include a laminated tri-folded, 6 panel wallet card. Tri-folded wallet card is an operating memory-jogger that can be kept with you. High quality color printing for greater clarity. Never again be without a ready reference when operating your radio. 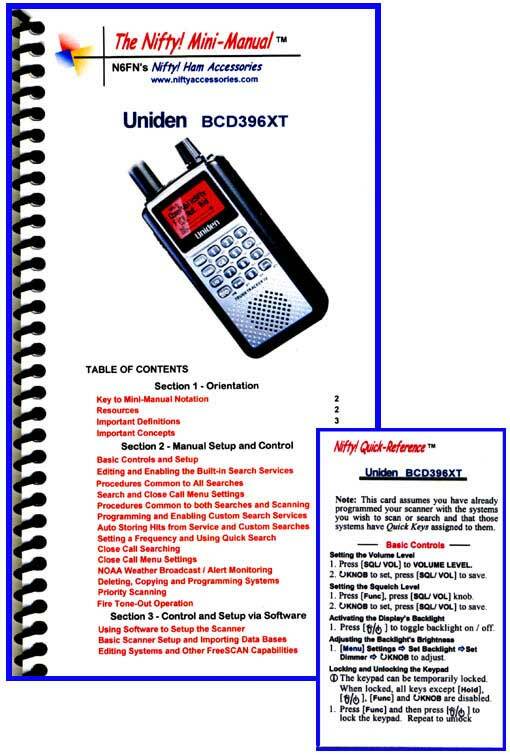 An invaluable aid for understanding and operating Alinco radios. Easier and faster to use than factory manuals.